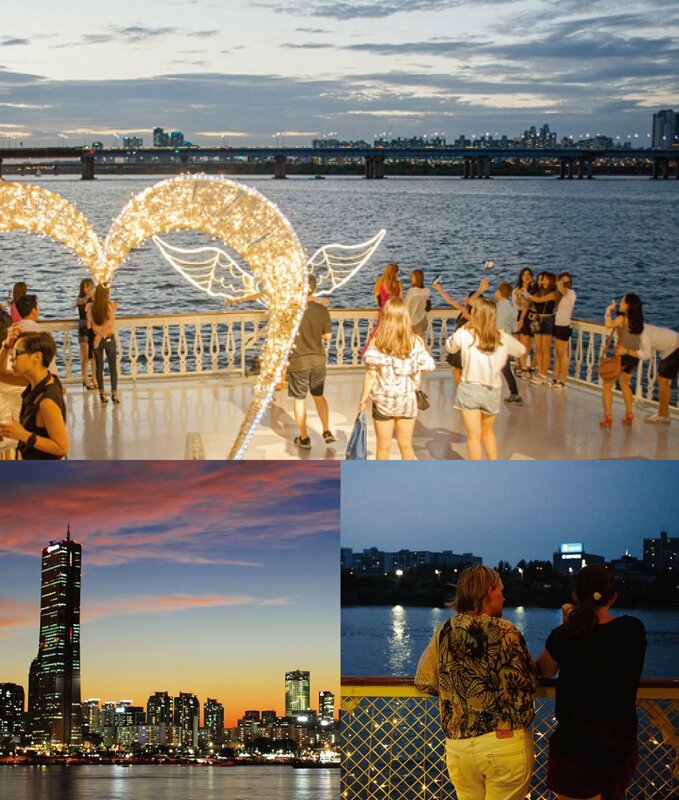 If you are looking to experience Seoul in a new way instead of Myeongdong and Dongdaemun kind of places, this is the perfect alternative. 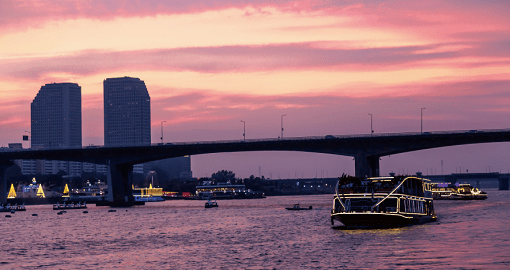 A cruise on the Hanggang river at night! 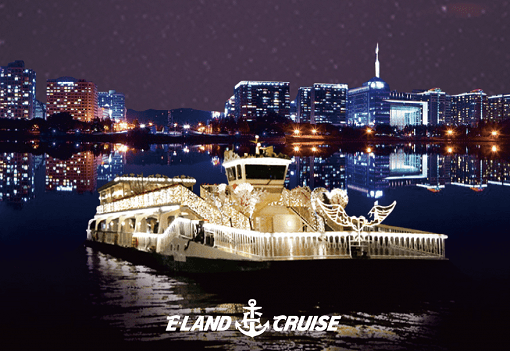 See spectacular night views of Seoul and enjoy live guitar performances on board. 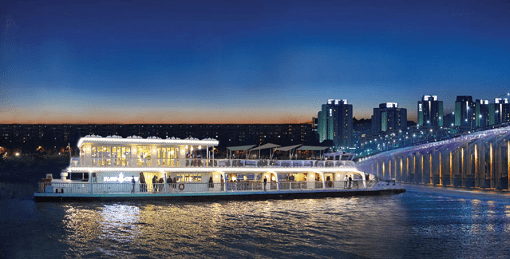 Cruise along the Han river passing by the iconic places in Seoul such as 63 building, N Seoul Tower, Mapo Bridge, Wonhyo Bridge, Banpo Bridge. 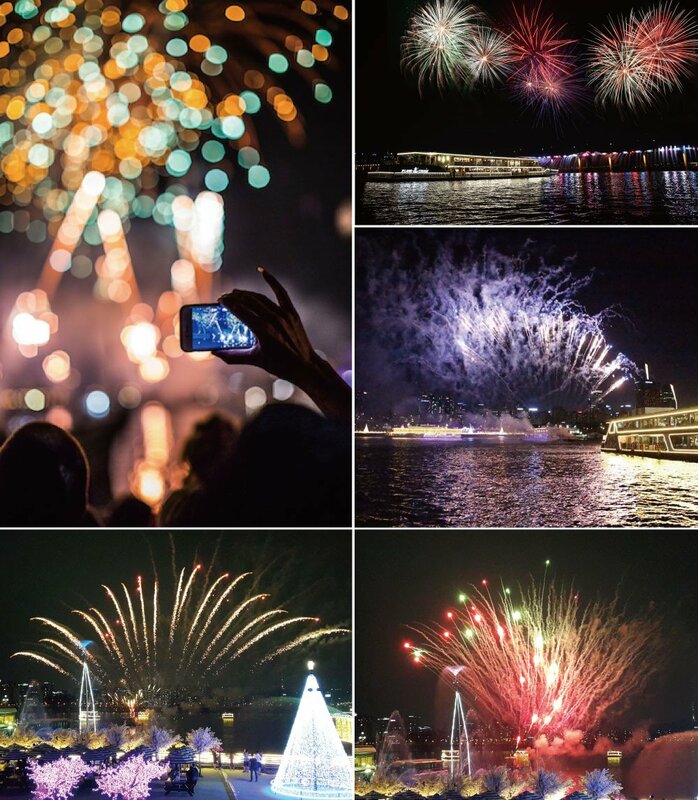 Make your experience extra special with Firework Cruise operated only on special days. ✓ Take advantage of photo zones in the cruise terminal. 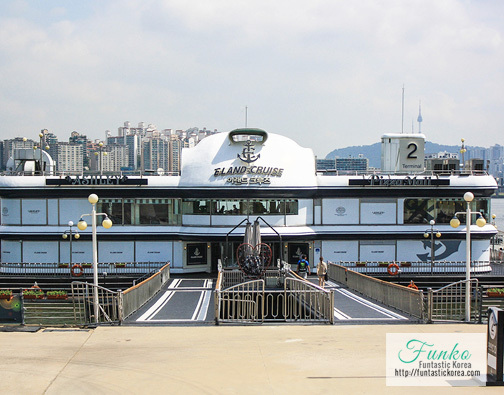 There are a plenty of photo spots to remember your special day in Korea. 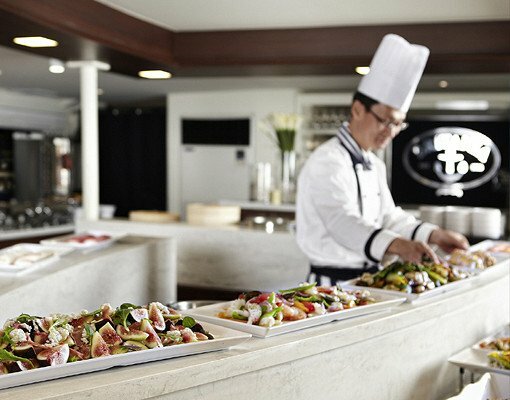 The terminal is also packed with nice restaurants and cafes so do check it out! 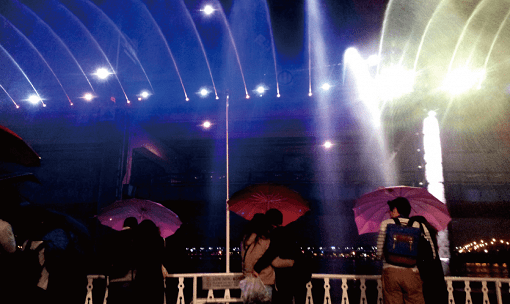 ✓ The Banpo Bridge Rainbow Fountain Show opens from Apr 1 to Oct 28, 2018, and is operated by Seoul Han River Business Organization, not the cruise company. The fountain is subject to schedule/operational changes without prior notice and may be canceled anytime depending on weather conditions. ✓ This discounted price is for foreigners only! ✓ In a rare case of the cruise being fully booked, we will notify and refund you as soon as possible. ✓ There might be special programs for cruises on holidays like Valentine’s Day (Feb 14), White Day (Mar 14), Chinese New Year, Chuseok, Children’s Day (May 5), Halloween (Oct 31), Christmas Eve (Dec 24), Christmas Day (Dec 25), New Year’s Eve (Dec 31) & New Year’s Day (Jan 1). ✓ Cruise programs and prices for the holidays may be different so you may have to top up the price/change to another date if you book early. 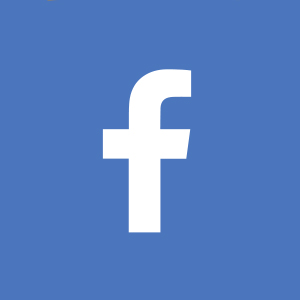 We will email you if any changes or price top-ups are required. 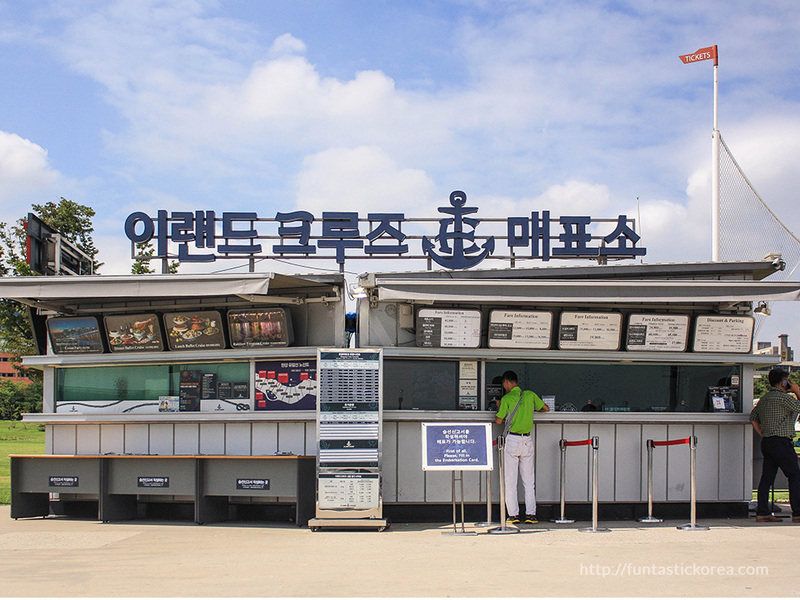 ✓ By Korean Law, all passengers are required to present a form of ID (passport/or photocopy of passport) to board the cruise. In case you could not board the cruise because you forgot to bring your ID, it is strictly not refundable. ✓ All passengers are required to submit a boarding report prior to boarding which crews at the ticket office will instruct you further on. 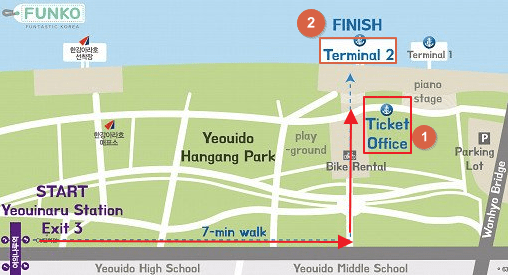 15-min walk from Yeouinaru Station (Subway Line 5) Exit 3. 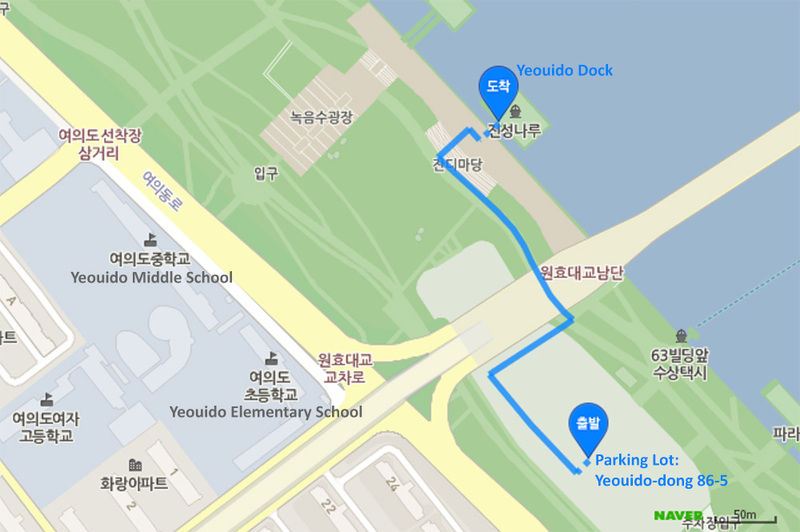 Yeouido Dock is a 6-min walk from the parking lot. ✓ 100% refundable if cancelled 3 business days (by 4pm K.S.T.) prior to departure date. ✓ 50% refundable if cancelled 2 business days (by 4pm K.S.T.) prior to departure date. ✓ Non-refundable if cancelled after 4pm K.S.T. of 2 business days prior to departure date. 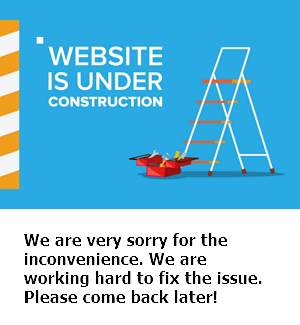 ✓ Date change is not available. Please cancel and make a new booking. Regular Cancellation Policy applies. It is deemed as a cancellation on departure date and tickets are non-refundable. 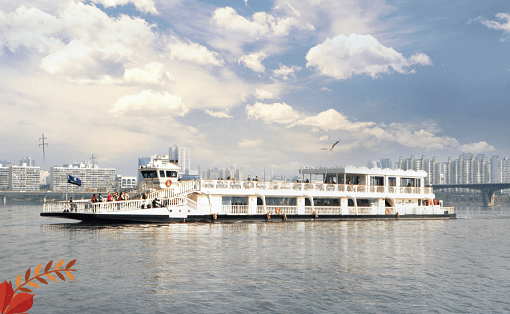 The cruise reserves the right to cancel due to bad weather or if the minimum number of passengers is not met. In such cases, you will be refunded the full amount.